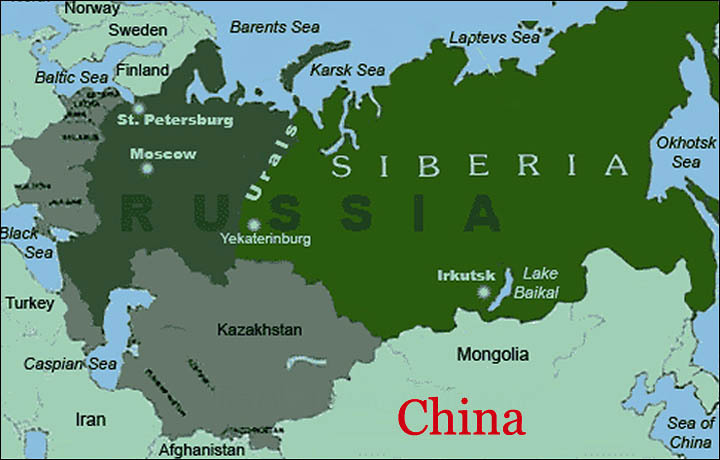 Chinese Immigration to Siberia: A Source of Tensions between Moscow and Beijing? The growing ties between the People’s Republic of China and the Russian Federation are an important topic in the current diplomatic world. These two economic giants have mutual interests in two distinct fields. First, both countries are economically incredibly complimentary, one being the largest country on Earth, rich in natural resources and lacking in labour, while the other is the most populated one, hungry for natural resources and full of labour. Second, China and Russia share similar views regarding foreign relations: they are both fierce defendants of the principle of non-intervention in other countries’ domestic affairs, oppose the USA’s world hegemony and aim for a multipolar world. Nevertheless, there are certain sources of tension between the two countries, such as the competition for the Central Asian countries, weapons and technology trade, and Chinese immigration to Siberia. This commentary will focus on the latter, providing a broader understanding of the situation as well as its implications for Sino-Russian relations. Chinese immigration to the Russian Far East is the result of appeased post-Soviet Sino-Russian relations. Chinese migrants are mostly economically driven and only plan to stay in Russia temporarily, in order to make money and to go back to China afterwards. This immigration has been quite beneficial to Siberians. Greatly suffering from the aftermaths of the collapse of the Soviet Union, dwellers of the Russian Far East are in great need for diverse products and cheap labour to conduct vital construction works and renovations as well as a price-reducing competition, all of the above being provided by this very immigration. There are, however, negative aspects to the presence of Chinese immigrants. There is an important illegal cross-border trade involving Russian tourists, corruption, and organised crime. A noticeable problem is the low quality of the products provided by Chinese immigrants. This is the conclusion of an accumulation of unfortunate decisions. Due to its undiversified economy, Russia used to rely on the importation of food from countries such as Belarus, Ukraine, Israel, and Egypt. However, after the Ukrainian crisis and the implementation of Western sanctions on Russia the supplying of food became a problem. While the European part of Russia can still somehow afford those products despite supplementary taxes, the Asian part cannot, leaving Siberians with no other choice than buying cheap and low-quality Chinese products. Nevertheless, the major problems caused by Chinese immigration are more psychological than factual. Local Russians are afraid of sudden changes, immigration, and competition; all foreign concepts to people that lived under communism for 80 years. Furthermore, the apparent lack of security (due to the growing Chinese organised crime), the lack of jobs (as cheap Chinese labour fills in many positions that would otherwise be considered too degrading for local Russians) and the sense of relative deprivation (as Chinese migrants are getting richer faster but from a lower starting point) create tension and anxiety among Siberians. On top of that, Russia has had a difficult history with East Asians; from Mongol invasions to the humiliating defeat of the Russo-Japanese war to an almost paranoid suspicion of Koreans being spies for the Japanese Empire. The lack of understanding of Chinese culture adds to the general angst, the latter exacerbated by delirious Kremlin’s and mass media’s claims that there are from 2 to 5 million Chinese migrants in Siberia alone, while estimates from specialists show that there are (at most) 500,000 Chinese migrants in the whole of Russia. All of the above generates strong anti-Chinese feelings not only in Siberia but in distant European cities such as Moscow and Saint Petersburg as well. What are the effects on Moscow and Beijing and their bilateral relations? Beijing has expressed on several occasions that it seeks to further deepen economic ties with its Russian counterpart and seems rather benevolent in that regard. However, it is common knowledge that China is angry about the Russian annexation of previously Chinese North-Eastern territories, now part of the Russian Far East, and Beijing still claims those lands. It is also rather suspicious that Beijing is openly encouraging the exportation of both labour and products to Russia and actively subsidises trading and production zones directly aimed at the Russian market along the border. It is also important to underline that while the Russian region of Primorskiy krai (Приморский край) only has 2 million inhabitants, its Chinese neighbouring Heilongjiang Province (黑龙江省) holds 38 million, making a possible invasion easy, as the Russian Far East is far from Russia’s decision-making centre in Moscow. However, even though China would like to see those lands come back to their motherland at some point, it is not in its interest to raise tensions on the matter. Indeed, Beijing would rather keep Russia as a close political ally and concentrate on claiming Taiwan and islands in the South China Sea. Regarding Russia, the situation is rather complex. It is obvious that Russia is in great need of labour and diversified products from China due to its current economic and diplomatic crisis, and one cannot help but wonder why the Kremlin would spread fake news generating fear over Chinese immigration to Siberia. Actually, the Kremlin benefits both from the help provided by Chinese immigration and from the growing fear over the apparent ‘Yellow peril’ throughout the country. Russia is facing an identity crisis. Russians were traumatised by the 1990s collapse of the Soviet Union and the inherent collapse of Russia’s world prestige, and the West’s strong opposition to Moscow’s policies regarding Ukraine or LGTB rights just rubbed salt in the wound and gave rise to insecurity in the country. With upcoming elections, the party in power must find a way to unify the largest country on Earth; all the way from Saint Petersburg to Vladivostok. All throughout history, Russians have been united by the hate of a common enemy, whether it’s Nazis, the Poles, the Japanese, the West, or a West-driven Ukraine. Using Chinese immigrants as scapegoats is one way to unite Russia against a common threat. A closing to this commentary could be the hypocritical claims from Moscow regarding a potential Chinese invasion of the Russian Far East. The Muscovite logic would be that Beijing could decide to invade those lands on the sole reason that, in the near future, they would be more inhabited by Chinese than Russians, and would therefore be better-off belonging to China in order to assure the protection of Chinese dwellers. However, this philosophy is exactly the same as the one Russia was following when it annexed Crimea and when it provided military support to Eastern Ukrainian independentists, since both Ukrainian regions have a majority of Russian speakers. Russia is therefore contradicting itself by opposing China’s claim over the Far East. Article written by Romain Pradier, exchange student from McGill University (Canada) to University of Helsinki. Edited by Alisha Ibarrondo (Université libre de Bruxelles, Belgium). Any opinions expressed in this blog commentary are the opinions of the author, and are not the views of or endorsed by the UH Chinese Studies. The accuracy of the Content should not be relied upon and should be independently verified with primary sources of information. Alexseev, Mikhail A. “Economic Valuations and Interethnic Fears: Perceptions of Chinese Migration in the Russian Far East.” Journal of Peace Research, vol. 40, no. 1, Jan. 2003, pp. 85–102. Alexeeva, Olga. “Chinese Migration in the Russian Far East: A Historical and Sociodemographic Analysis.” China Perspectives, vol. 3, no. 75, 1 Jan. 2008, pp. 20–32. Larin, Alexander. “Chinese Migrants in Russia: Modern Russian Research.” Far Eastern Affairs, vol. 0041, no. 4, 2013, pp. 58–72. This entry was posted in Commentaries and tagged Chinese, Immigration, Siberia by Julie Yu-Wen Chen. Bookmark the permalink.